Naale Elite Academy celebrates 25 years with a special event in Tel Aviv, bringing together students, teachers, and alumni. Naale Elite Academy celebrated 25 years since the end of its first academic year (1992-1993) with a big event, the Graduates’ Conference, at the Charles Bronfman Auditorium in Tel Aviv. The venue was filled with many smiling faces of graduates, educators and administrative staff. 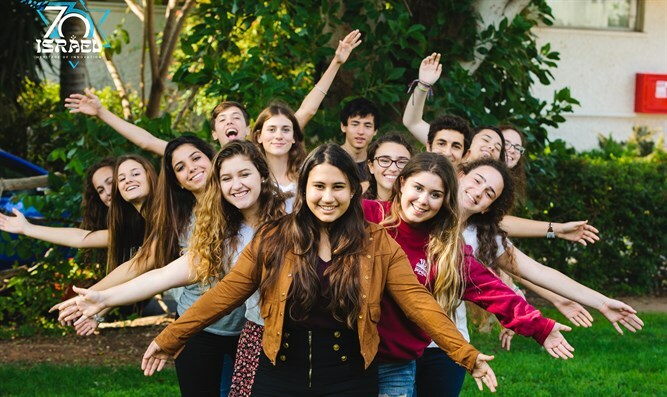 From the very beginning, Naale’s mission has been to bring Jewish high schoolers to Israel to get great free education, but more than that, to help young people envision their life in the Jewish State and to acquire the necessary skills and confidence to make Aliya. The numbers are impressive: since the program’s establishment in 1992, over 17,000 students have participated with about 85% staying in Israel and 40% of the parents making Aliya as well. Indeed, Naale has come a long way since 1992, when the first group of Jewish students from the post-Soviet states landed in Ben Gurion to begin their Naale journey. Now, one third of students come from the Western World, and the other two thirds – from about 45 different countries around the world, mainly Russia and Ukraine. Hundreds of grateful graduates attended the event. Many of them recalled that the program had been challenging, but they all said it with a smile and a great sense of achievement, as Naale was their first step towards an independent successful future. “For me it’s about being an active part of bringing people here. I think that the students who come here want to be a part of Israel, and even those who come for other reasons, eventually become the greatest friends of the Jewish State”, said Rabbi Yossi Kahana, principal of Ulpanat Bnei Akiva Amana. We’d like to wish Naale success and constant growth for many generations to come. After all, as long as there are Jewish communities outside of Israel, there will be a demand for a great educational program that has the power to connect Jewish youth to the their roots in Eretz Yisrael. Click here for more information about Naale.